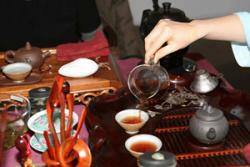 Kungfu tea ceremony, originated from south of China like Fujian and Taiwan, has become very popular all over China. 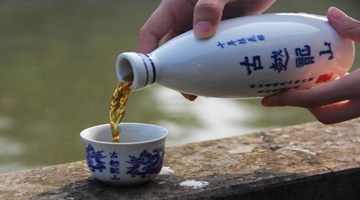 Oolong (wulong) tea is used for Kungfu tea ceremony. 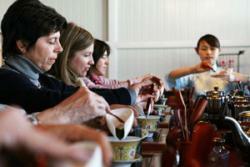 The host will use very small cups and many different tools and wares on a tray to steep tea and perform the ceremony. At this CCC's Tea ceremony workshop, you will first see a performance, then everyone of you will have a whole set of tea wares and tools to practise the performance step by step. 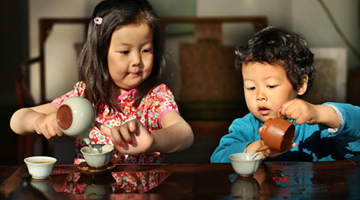 The knowledge of tea, tea selection, steeping and savoring will be explained. 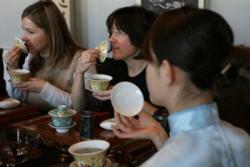 Come learn to perform Chinese Kungfu tea ceremony with CCC experts. The price includes an English-speaking expert, or an expert assisted with an interpreter and venue.